The Romanian army is seeking new main battle tanks. "At present, the Romanian Army operates some TR-85 and TR-85M1 MBTs that do not meet any modern requirements to heavy armored vehicles. 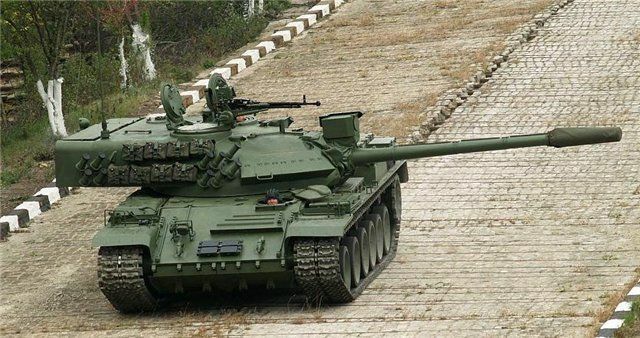 Therefore, the Ministry of Defense is initiating a program aimed at the modernization of the service`s tank fleet. Some requests for information [RfI] will be sent to potential vendors at an early date," a source told TASS. The Romanian military is believed to aim at replacing its obsolete tanks by Leopard 2A5 MBTs. Many will disagree but I always thought the TR-85M1 was not only a sensible but quite effective upgrade of legacy equipment by a cash strapped, small country. Now they're going for Leopard 2's. I'm not sure that's the right move but time will tell. Personally I'd like to see the US simply gift them M1A1s.